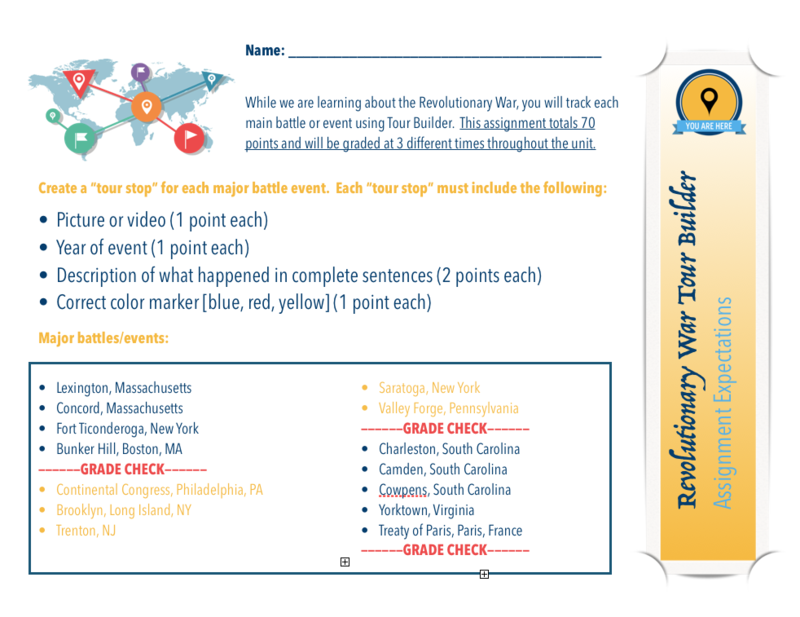 In this project, 5th graders used Google's Tour Builder to track all the major battles and events they learned about in the Revolutionary War. For each battle/event, students were to include the title, the date, a picture or video, a short description, and correctly color the pin they dropped. Many spots zoom into street level at the site of the battle/event, bringing the viewer right to the scene of history! Click the picture above to download a copy of the Tour Builder Directions.